in the County of Stafford sorted by Occupier. icon that should (eventually and intermittently) appear in the bottom right of the map image. 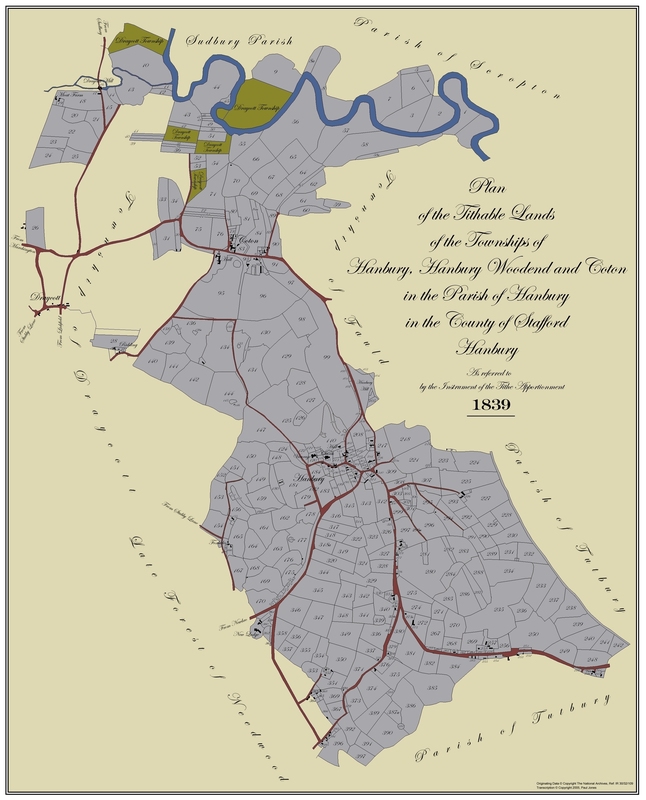 A modern day road map of Hanbury is available, here (by zooming in on this reference you will get a modern day Ordnance Survey & Street Map), and you can get an 1886-8 map, here (type "Hanbury" into their search engine & select Hanbury, Staffordshire). Plots 29, 77 & 143 appear on neither the map nor the apportionment. Plot 187 is on the map but not the apportionment. There are 40 perches to a rood and 4 roods to an acre. An acre is about 4,047 square metres and there are about 2.47 acres to a hectare. Other tithe maps for the area can be found here.